And my daffodils are showing off. We cleaned out the flower beds this weekend and really enjoyed being outside. We also cut down a bush that was turning into a tree and I think it probably started out as a week about 20-something years ago. Now we can get into our side gate without needing to cut our way through the forest like the Prince did in Sleeping Beauty. Martha Washington Geranium. They look beautiful on the windowsill. I recently completed a couple of tablerunners for someone who wanted a combination of Christmas and Hannakah and also Easter/Passover. 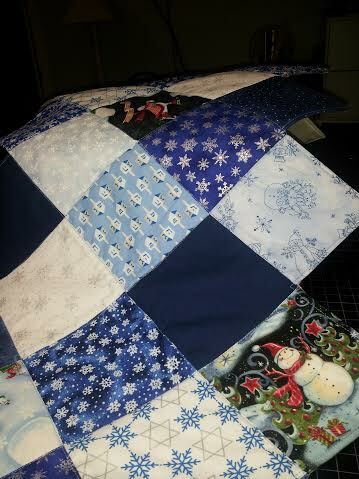 Currently I am working on my Lattice Quilt and a COC Quilt (Circle of Comfort). I’m appliqueing circles made from four 5″ squares onto larger squares and then trying a Quilt As You Go technique when sewing the rows together. 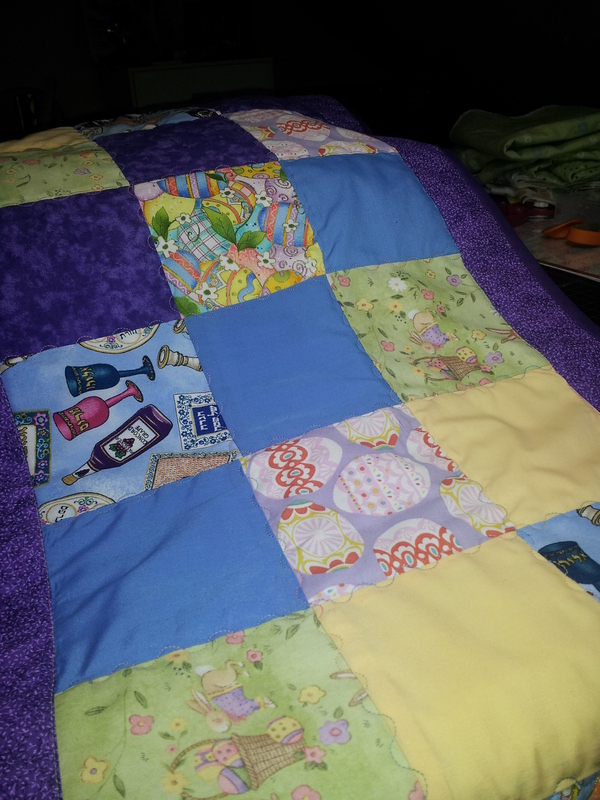 I’m almost done and hope to get the binding attached within the next couple of days. Craft Fair is coming up at the end of May so I will be working on things for that too. It looks like I will be keeping myself pretty busy over the next few weeks and we will also need to fit in some yardwork here and there and get our veggie beds ready and planted. Until next time, enjoy your week and this beautiful Spring weather. I love the table runners. And your geranium is beautiful!